The District developed the water rate structure to encourage efficient use of water and discourage waste by providing users a water budget allocation suited to their specific needs. The tiers in the water budget rates are defined individually for each customer as shown. 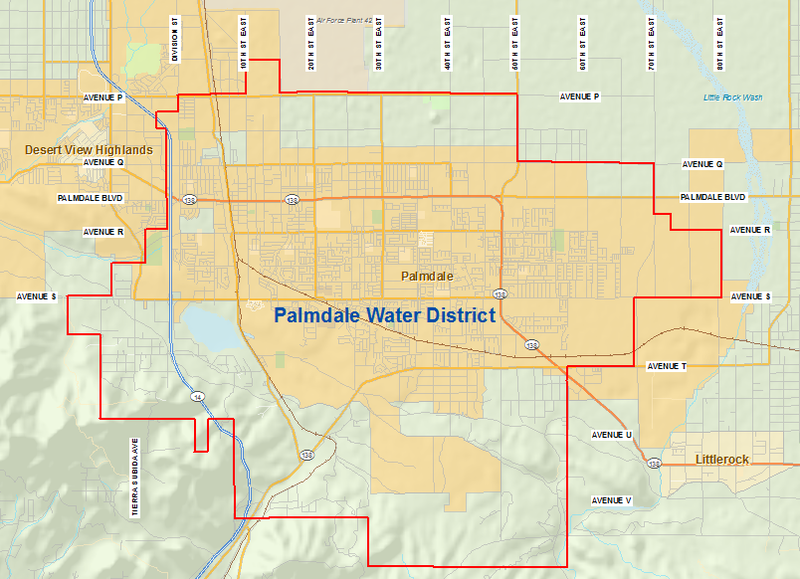 Palmdale Water District water rates, effective January 2019. These funds will be used to replace aging water pipelines and meters. Additionally, the funds will help us to improve our local water supply. *ccf = hundred cubic feet = 748 gallons. Water use is metered in units of ccf. According to American Water Works Association, “water budgets are volumetric allotments of water to customers based on customer-specific characteristics and conservative resource standards.” After completing a thorough study the District implemented the following approach to determine individual water budgets for each customer in the defined customer classes. For residential customers, the indoor allocation is based on an average of 4 occupants per home providing an allotment of 66 gallons per capita per day (GPCD). Adjustments for additional occupants can be requested by submitting an Adjustment Application (or Variance) to the District. These applications may be obtained from the District office or website and will require supporting documentation and approval. The outdoor allocation is based on irrigable area (“IA”) determined by the total square footage of the parcel from assessor’s data and the amount of water required to maintain a healthy landscape. For residential customers, the irrigable area is estimated to be 50 percent of the total parcel area. For irrigation only customers, the irrigable area is assumed to be 100 percent of total parcel area. The tiers for non-residential customers will be revised when the Board declares a water supply emergency and mandatory cutbacks in water usage. In November of 2000, the District established a surcharge to pass on the increased costs of delivering water to customers in higher elevation zones. This surcharge continues under the current rate structure. The District is divided into four (4) elevation service zones, download Elevation Service Zone map. The northern most area is defined as the “Base Area”, while moving south the Zone structure includes “Area 1”, “Area 2”, and “Area 3”. If you are in Areas A1, A2, or A3, you will be charged an elevation booster surcharge based on the water units you use ($/ccf) as shown in the preceding tables. These charges are based on the actual pumping costs and are re-evaluated every five years. The standard allocation for a household is 4 people. If your household number exceeds 4 people you may be eligible for a rate adjustment. View the Allocation Estimator for additional information.